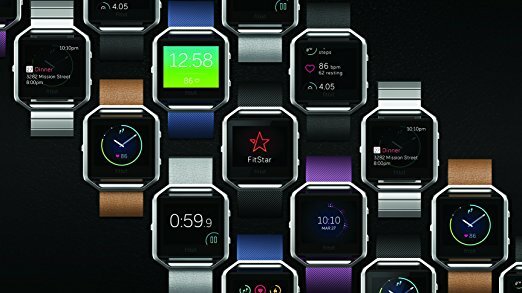 Fitbit Blaze - Is it the best Fitness Tracker for you? Fitbit has established itself in the field of fitness trackers and is currently one of the most popular manufacturers in the market. The company prides itself ina combination of fitness needs’research and technology adoption to produce some of the most competitive trackers. That said, every user will have what works for them and what doesn’t even when both (or more) products come from the same manufacturer. This objective review of the Fitbit Blaze explores every single bit of the wearable. Read on to get an insight of the ups and downs of the Blaze to help you make an informed decision. What is the Fitbit Blaze? 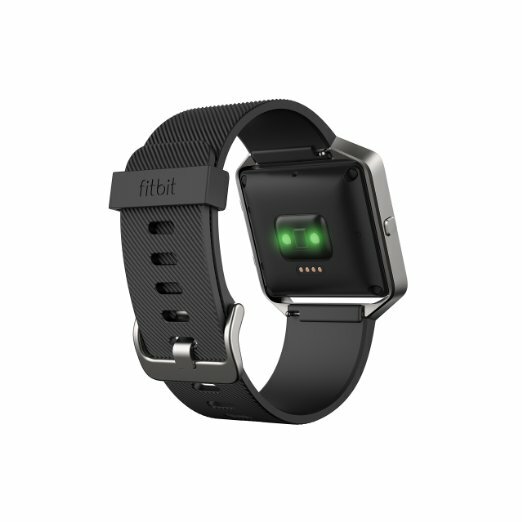 Fitbit Blaze is a wristwatch designed to help users set and track your fitness goals. It is used to track heartbeat and use the results to measure the intensity of workouts, display stats and analyze progress on set goals. It is also used to monitor normal activities during the day and give reminders to the wearer. It has a sleep tracker too that helps to measure the length and quality of sleep, with a silent alarm designed to wake the wearer without disturbance. It can be used to receive text and call notifications so the user does not have to keep their phone close at all times. A breathing guider aids relaxation sessions. Above all, the Blaze is a wristwatch, a classy accessory designed to bring out class in both men and women. A Fitbit Blaze delivery box will contain a wristwatch and its USB charging cable. The watch is made up of a screen and a detachable strap that will need to be taken off during charging, cleaning or replacement. The screen which forms the main part of the watch is a water-resistant display powered by a rechargeable-Li-ion battery. It has a high resolution and can be set to a user’s preferred interface. It uses the PurePulse feature to sense heart signals which form the basis of data stored and used to determine the body’s activity at a particular time. The screen is wider than the straps, making the Blaze appear like a traditional watch. It is touch-controlled. During exercise or routine activity, the watch can pick up the number of staircase flights taken, the number of steps walked and the total distance covered during the day or scheduled workout/run/hike. A GPS feature allows the Blaze to map out the route travelled during a certain period, which can be viewed on the dashboard after a workout. There are reminders-to-move once the sensors pick up the body has been at rest for too long, encouraging wearers to take a set number of steps per hour. Call and text alerts notify a user about anyone who is looking for them on their phones, which is a nice feature to avoid distracting exercise routines. The Blaze also gives the user the ability to select music on their phones and control volume at which songs play. The settings panel allows a choice of different modes to track different sports. Biking, for instance, would require a different tracking mode from running or cardio. Sleep mode helps to pick hear rate and tell a user whether sleep was light or deep, and how Rapid Eye Movement (REM) stages occur. The straps are removable and can be replaced with custom ones that are bought separately. The Blaze sells in three sizes on Amazon: small, medium and large. The small size strap ranges from 5.5 to 6 inches, medium lies between 6 and 6.7 inches while the large size goes from that point to 8.1 inches. All sizes have a similar screen display which is wider than the straps. Straps on the original delivery are complete without any breathing holes. The watch itself weighs 1.44 ounces, which should be light enough and comfortable during exercise. The complete delivery box weighs 12 ounces. Slim Pink/Gold (popular with the ladies). 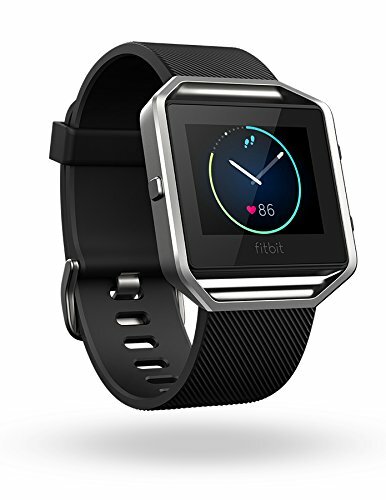 A user will need to download and install a Fitbit App on their mobile or computer device at the beginning of a Fitbit blaze use cycle. Once the app is installed, a Fitbit account is created, then the wristwatch is connected to the device with the app using a Bluetooth connection. The connection should be automatic after the first connection whenever the devices are within range. Once the devices are connected, the dashboard on the app will be used to input most settings. Settings like music control, call and text alerts and reminders will be notified on the watch’s screen when it is within 20 ft of the mobile device. The tracker keeps up to 30 notifications which are automatically deleted every 24 hours. Notifications that are not seen immediately can be viewed by swiping the screen up. On the dashboard, necessary personal attributes like height and weight will help to determine measurements made by the tracker. They are also a guideline in setting goals. Wearing is recommended to be one finger-width behind the wrist bone when tracking normal activity and at least thrice that when tracking workouts. Do not wear the gear too tightly in either of the two instances. Cost could go as low as $129 with special Amazon gift card bonuses. The tracker ships at no extra cost to the US. Other regions may require additional shipping fees. An optional two or three-year protection plan is available for between $9 and $12. Always rinse the band and allow it to dry after exercise or a sweaty day. Use water or a little rubbing alcohol for rinsing, but not regular household sanitizers. Care to wear the tracker at different positions in periods of extended use. This protects the skin from irritation and prevents the band from slipping because of sweaty and tender skin. The Fitbit Blaze is most suitable for people who are keen to combine a sleek stylish look with their performance tracking. It offers different options for different budgets, but it is mostly designed for people who are not shy to splash money to get that classy look.